The UL Lafayette Chapter of the Association for Women in Mathematics is just getting off the ground this, Spring 2019, semester. We are developing a full roster of activities for undergraduate and graduate students, as well as faculty. This semester, the AWM will organize four sponsored colloquia by prominent female mathematicians. Prior to each colloquium, we will host an informal luncheon for students to meet with the colloquium speaker and discuss topics such as research, work-life balance, and career development. Undergraduate math majors are encouraged to attend! Contact topology is the study of certain geometric structures on odd dimensional smooth manifolds. A contact structure is a hyperplane field specified by a one form which satisfies a maximum nondegeneracy condition called complete non-integrability. The associated one form is called a contact form and uniquely determines a Hamiltonian-like vector field called the Reeb vector field on the manifold. I will give some background on this subject, including motivation from classical mechanics. I will also explain how to make use of J-holomorphic curves to obtain a Floer theoretic contact invariant, contact homology, whose chain complex is generated by closed Reeb orbits. This talk will feature numerous graphics to acclimate people to the realm of contact geometry. 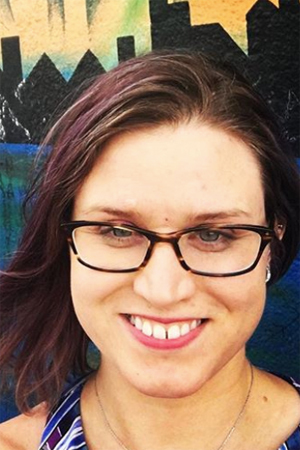 Jo Nelson is an Assistant Professor of Mathematics at Rice University. She earned a BS in Mathematics with High Distinction and Honors from the University of Illinois at Urbana-Champaign in 2007 and an MA and PhD in Mathematics from the University of Wisconsin in 2009 and 2013 respectively. 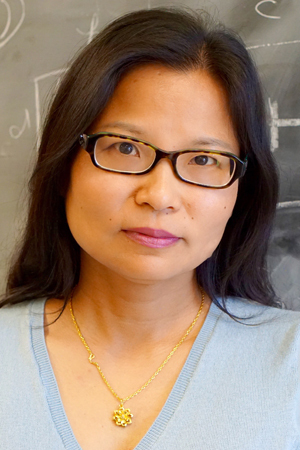 Subsequently, she held postdoctoral positions at the Institute for Advanced Study, the Simons Center for Geometry and Physics, Barnard College, and Columbia University before joining the faculty at Rice in 2018. Dr. Nelson's work concerns the interactions between symplectic and contact topology. 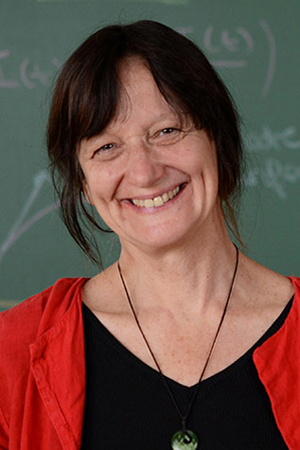 More specifically, her research interests include the relationships between symplectic and contact homology, equivariant and nonequivariant formulations of contact homology, and applications to dynamics and symplectic embedding problems. Note: There will be time for conversations and getting to know each other. Be a part of this UL Lafayette math community that supports and inspires girls and young women who love math. Men are welcome and encouraged to attend. Contact Madi Angerdina to register for the luncheon. How do Seasonal Variations Affect Disease Emergence in Vector Transmitted Diseases? Seasonality and contact patterns affect the dynamics of disease outbreaks. Recent studies applied to deterministic and stochastic epidemic models with periodic environments have shown that the average basic reproduction number is not sufficient to predict an outbreak. We extend these studies to a time-nonhomogeneous stochastic vector-host model with demographic variability and periodic fluctuations to better understand the combined effects of variability and periodicity on the risk of a disease outbreak. A multitype branching process approximation is used to calculate the probability of a disease outbreak. The approximation follows from the solution of a system of differential equations which is derived from the backward Kolmogorov differential equations. This approximation shows that the risk of a disease outbreak is also periodic and depends on the particular time at which either an infected vector or an infected host is introduced into the susceptible vector and susceptible host populations. Numerical examples with periodic transmission rates for vector and host illustrate the times at which there is the greatest probability of an outbreak and also demonstrate how these times are related to the peak transmission rates for vector or host. 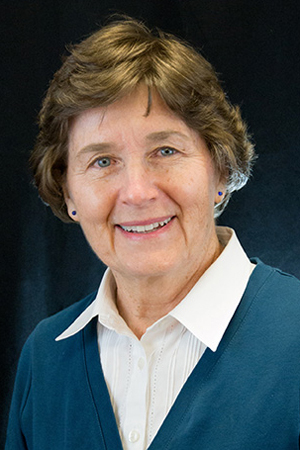 Linda Allen is a professor in the Department of Mathematics and Statistics at Texas Tech University. She received her PhD in mathematics in 1981 from the University of Tennessee. Dr. Allen’s research interests are in mathematical modeling in biology. In her research, she develops and analyzes both deterministic and stochastic models to study population, epidemic, viral, and immune system dynamics. She is the author of two books: An Introduction to Stochastic Processes with Applications to Biology and An Introduction to Mathematical Biology. Big data is becoming ubiquitous in the biological, engineering, geological and social sciences, as well as in government and public policy. Building an interpretable model is an effective way to extract information and to do prediction. However, this task becomes particularly challenging for the scenario of big data, which are large scale and ultra-high dimensional with mixed-type features being both structured and unstructured. A common practice in tackling this challenge is to reduce the number of features under consideration via feature selection by choosing a subset of features that are "relevant" and useful. The work in this talk aims at proposing a new dependence measure in feature selection. The features having strong dependence with the response variable are selected as candidate features. We proposes a new Gini correlation to measure dependence between categorical response and numerical feature variables. Compared with the existing dependence measures, the proposed one has both computational and statistical efficiency advantages that improve the feature selection procedure and therefore the resulting prediction model. Xin Dang received a Bachelor of Science degree in Applied Mathematics from Chongqing University, China, in 1991, and Master's and PhD degrees, in 2003 and 2005, in Statistics from the University of Texas at Dallas. Currently she is a professor in the Department of Mathematics at the University of Mississippi. Her research interests include robust and nonparametric statistics, statistical and numerical computing, and multivariate data analysis. In particular, she has focused on data depth and applications, bioinformatics, machine learning, and robust procedure computation. Dr. Dang is a member of the IMS, ASA, ICSA and IEEE. What can mathematics tell us about the treatment of cancer? In this talk I will present some of work that I have done in the modeling of tumor growth and treatment over the last fifteen years. Cancer is a myriad of individual diseases, with the common feature that an individual's own cells have become malignant. Thus, the treatment of cancer poses great challenges, since an attack must be mounted against cells that are nearly identical to normal cells. Mathematical models that describe tumor growth in tissue, the immune response, and the administration of different therapies can suggest treatment strategies that optimize treatment efficacy and minimize negative side-effects. However, the inherent complexity of the immune system and the spatial heterogeneity of human tissue gives rise to mathematical models that pose unique challenges for the mathematician. In this talk I will give a few examples of how mathematicians can work with clinicians and immunologists to understand the development of the disease and to design effective treatments. I will use mathematical tools from dynamical systems, optimal control and network analysis. This talk is intended for a general math audience: no knowledge of biology will be assumed. Ami Radunskaya is a professor of mathematics at Pomona College. Among her areas of expertise are mathematical modeling of tumor growth and treatment, dynamical systems and analysis of non-linear models of power systems. She is co-director of EDGE (Enhancing Diversity in Graduate Education) as well as the President of the EDGE Foundation. EDGE is a national program designed to increase the number of women students, particularly minority women, successfully completing graduate programs in the mathematical sciences. As President of the Association for Women in Mathematics (AWM), one of her goals is to build community between all types of mathematicians by supporting a unified network of members, and by paying attention to the needs of all members. Aspiring mathematicians don’t all have equal access to research opportunities, graduate school, internships, post-docs, jobs and recognition. As AWM President, she will work within the association and with other groups to facilitate access to opportunities in mathematics. I have always been fascinated by the relationship between pattern, prediction, order and disorder. Mathematics is the perfect language to describe the evolution of patterns, and music is a great way to listen to them. My first career as a musician led to a new career in mathematics, as I pursued patterns and prediction through the study of dynamical systems and ergodic theory. In more recent years, I have discovered that mathematical descriptions of physical processes can be used to address problems in medicine, such as understanding how cancer evolves, or developing treatment strategies. In this talk I will describe my own journey from musician to mathematician to modeler, highlighting this path with mathematical examples. Please direct any inquiries to Dr. Hayriye Gulbudak.